To celebrate the dedication of a new plaque honoring the former location of the Buster Keaton Studios in Hollywood, The International Buster Keaton Society (AKA the "Damfinos") invites you to join us for a weekend of Buster Keaton-related activities in Los Angeles. This will be the first time in the 24-year history of the Damfinos that we are organizing events in the town that Buster called home for so many decades, and we are looking forward to seeing you there! If you can get yourself to sunny Los Angeles (or if you're already here), then all you need to do is show up! There is no registration fee for this weekend. For several of the events (see below), there is no cost at all. For others, tickets will be required, and we will provide a link for you to purchase these tickets in advance on your own. 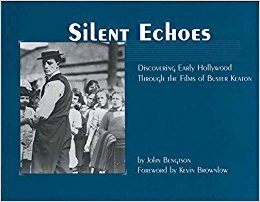 The definitive research on Buster Keaton's filming locations in Los Angeles is done by John Bengtson, and can be found in his extraordinary book, Silent Echoes: Discovering Early Hollywood Through the Films of Buster Keaton (available here). His research continues on his Silent Locations blog. John will give several talks and tours throughout the weekend. Looking for The Annual Convention in Muskegon? 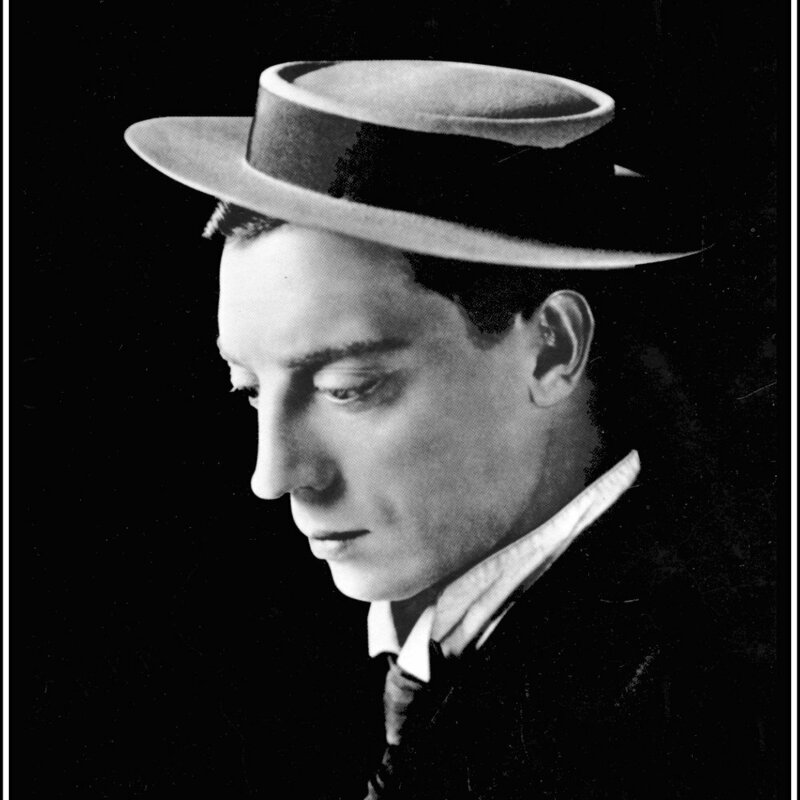 The 24th annual Buster Keaton convention will be held on October 5th and 6th, 2018 in Muskegon Michigan. Click here to learn more and register today! Seating is very limited. As of May 5th, there are still a few spots available. After you RSVP, you will be contacted as soon as tickets go on sale. 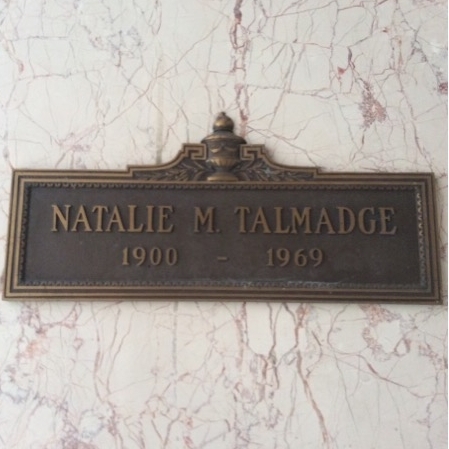 Join Melissa Talmadge Cox on a visit to the final resting place of Norma, Constance, Natalie, Frederick and Margaret Talmadge. Thank you! We look forward to seeing you at the Hollywood Forever at 9:00 am. Note: There is an option available for Sunday. See below. 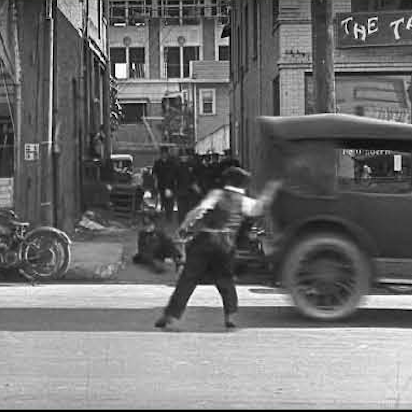 The great silent comedians filmed more often on the block of Cahuenga south of Hollywood Boulevard than at any other spot in town. Buster Keaton alone filmed eight different movies here, including Cops, at the same alley where Charlie Chaplin filmed The Kid, and Harold Lloyd filmed Safety Last. 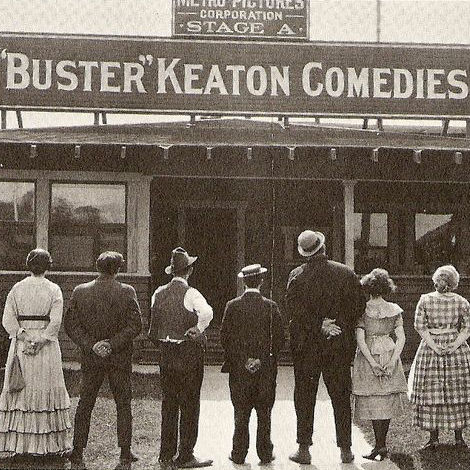 Join historian John Bengtson (author of Silent Echoes: Discovering Early Hollywood Through the Films of Buster Keaton) on this popular walking tour. 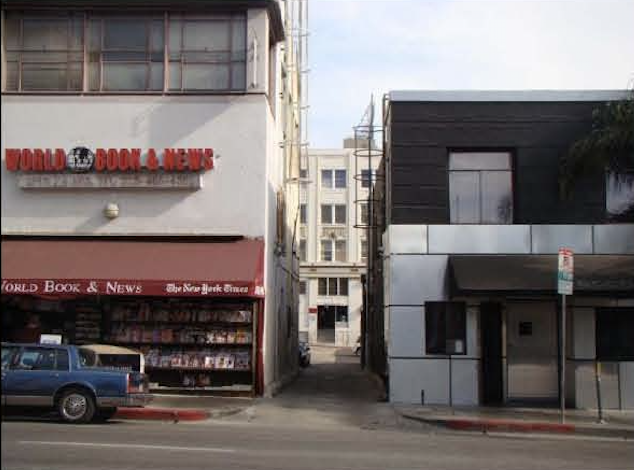 Featuring nearly 30 locations from a dozen Keaton films, this tour around the site of Buster Keaton’s former studio highlights some early Charlie Chaplin locations as well. Join author/historian John Bengtson for this unique walking tour exploring Mr. Keaton’s neighborhood. 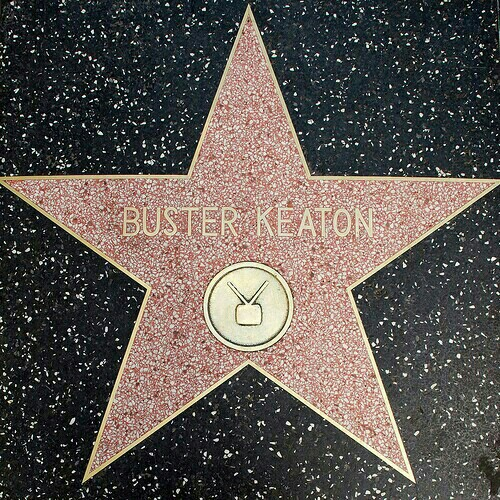 The city of Los Angeles will officially declare June 16, 2018 to be "Buster Keaton Day"! Join us for a reading of the proclamation. Thanks to the donations of hundreds of Buster Keaton and Charlie Chaplin fans from around the world, The International Buster Keaton Society has produced a beautiful bronze plaque to mark the location of the former Buster Keaton Studios in Los Angeles. (Before Buster, Charlie Chaplin worked there as well. This is truly hallowed Hollywood ground.) Join us along with several special guests as we unveil and dedicate this permanent addition to the fabric of Los Angeles. Thank you! We look forward to seeing you on June 16th. We will start to gather at 2:30, and our presentations will commence at 4:00 pm. 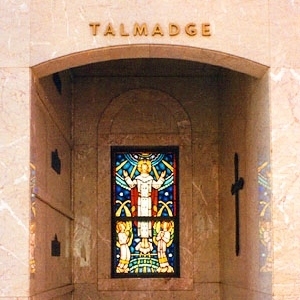 Reservations suggested (you can make it there by 5:30 or 6:00 after the plaque event. The film star is on the north side of the 6200 block of Hollywood Blvd. The TV star is on the north side of the 6200 block of Hollywood Blvd. What's a trip to Hollywood with a trip down the Hollywood Walk of Fame? 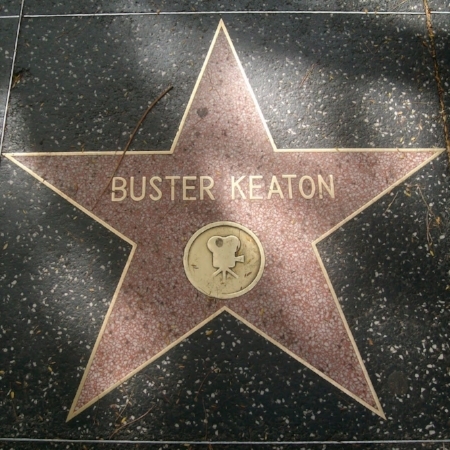 Buster has been honored with two stars, one for his work in film, and one for his work on TV. After dinner, and before heading over to the Egyptian Theater, take a moment to check them out! The historic Egyptian Theater in Hollywood will screen one of Buster Keaton's classic feature films, THE CAMERAMAN just a few hours after (and a few blocks away from) the dedication of the studio plaque. 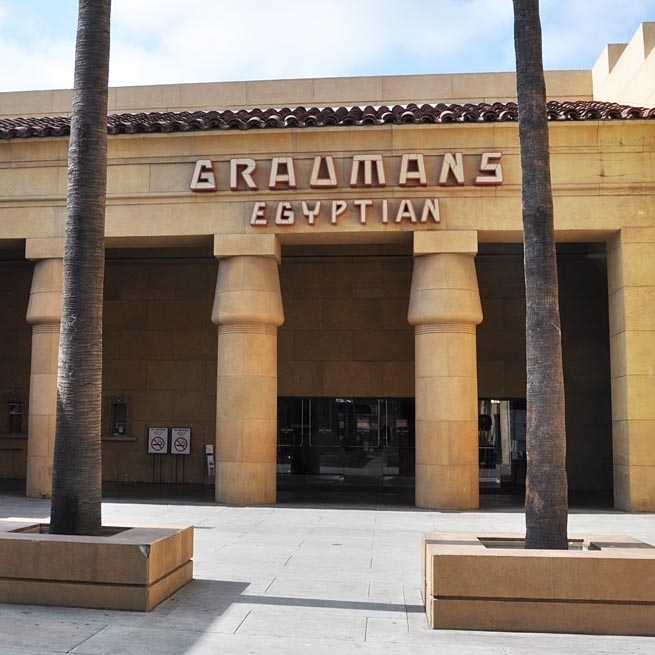 Smack in the middle of the Hollywood Walk of Fame, the Egyptian Theater is one of Los Angeles' cinematic treasures. Join us for a special night, which will include a panel discussion with film critic Leonard Maltin, and Damfino founder Patrica Eliot Tobias. Join us as we pay tribute to Buster Keaton with a visit to his final resting place. Thank you! We look forward to seeing you at Forest Lawn at 11:00 am. 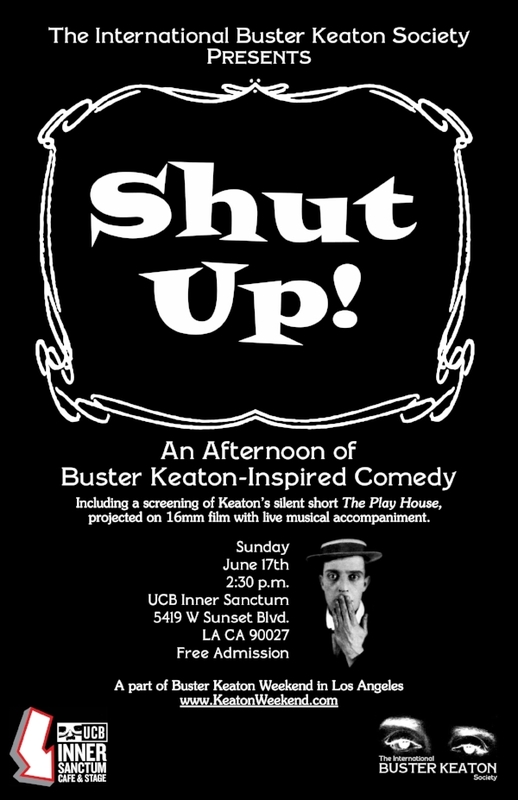 Come to Los Angeles' premiere stop for improv and sketch comedy for an afternoon of Keaton-inspired (mostly silent) performances. We will also screen Buster's homage to his vaudeville upbringing, The Playhouse. Thank you! We look forward to seeing you at UCB INNER SANCTUM on Sunday June 17th at 2:30. Return to Keaton Weekend page. L.A. 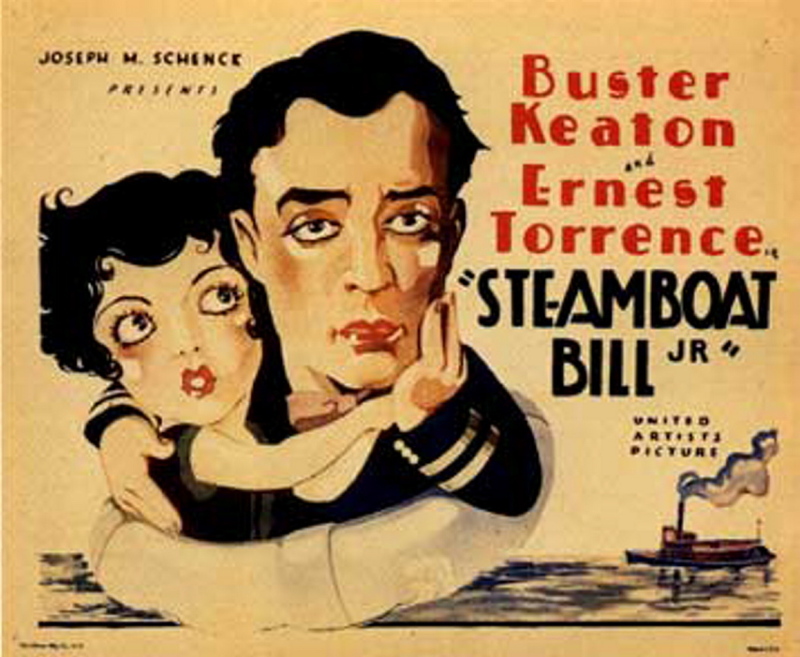 CONSERVANCY presents: STEAMBOAT BILL JR. If you're still in town on Wednesday, come see this Keaton classic at the gorgeous Orpheum Theatre in downtown Los Angeles. Also note: YES, you will have to register on their site in order to purchase tickets.